How I put all those years of GPS tagged images to use. Finally I think I've found a solution that works. Over the years I've tried numerous apps and processes but all have had major failings for one reason or another. I paid $10 for an app on the iPad that didn't work at all whatsoever. No response from developer. No refund from Apple. Trust me, I've tried all manner of options. So first up, my goal. What I want is to pull up a map on my Mac / iPad / iPhone, go to a specific area and see notes and pictures for areas that I have either previously visited and scouted or found online and tagged. But why? Well because I have all this archived digital knowledge that could save me significant amounts of time when planning shoots. Well no, not exactly. I also want it all available offline. I often find myself deep in national parks or high up in the hills where there is little or no cell phone coverage never-mind a fast 3G signal. I also want to combine iPhone snaps, RAW files from my Lightroom libraries and stuff I just stumble across on the web. Another beauty of Evernote is that you can set which notebooks you want made available offline. I only have around 2GB worth of notes saved so it's not a massive amount of data by current standards. All the maps are stored offline within the app, so its simply a case of going to the "Atlas" (on the Mac) or "Places" in iOS and zooming in to a specific area to see what I've previously saved. The first stage is to import my automatically geo-tagged iPhone images, which is a relatively straight forward process once I've decided which ones out of the 17,000 are worth importing. Using the HoudahGeo (http://www.houdah.com/houdahGeo/ ) "Load" interface, I navigate to my iPhoto library and wade through the camera phone snaps (I'm still working my way back through the years….) and select those worthy of marking as useful for future reference. It's then just a simple case of and hitting the "Publish to Evernote" button and selecting which Evernote notebook I want them to go into. The import process itself is very quick, unless I'm dumping hundreds at a time. As my Nikon bodies don't have geo-tagging functionality, the process for RAW files is a little more protracted. I use an iPhone app called simply enough, "GeoTag Photos" (https://itunes.apple.com/gb/app/geotag-photos-pro/id355503746?mt=8) which creates GPS Tracks that I can then download and use to automatically tag images after I've imported them into Lightroom. This is a sample GPS Track from a recent trip to the Lake District over a number of days. 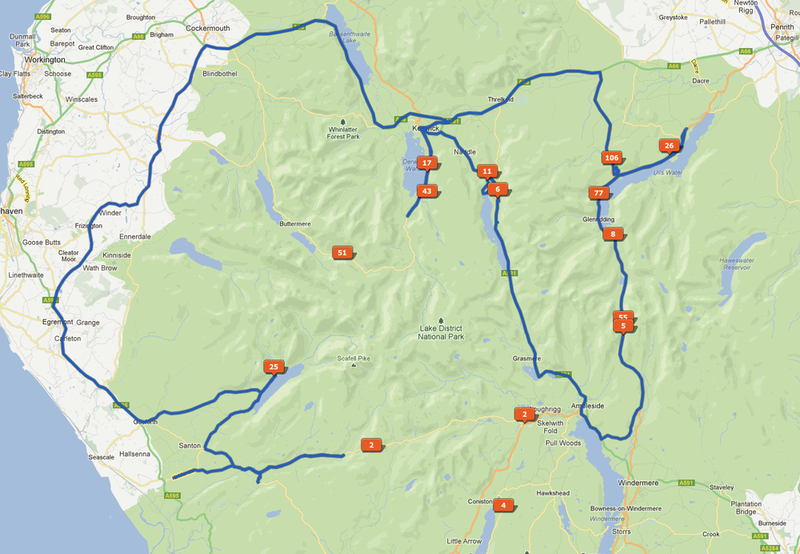 Sample GPS Track from a recent trip to the Lake District over a number of days. I then headed over to my current year's Lightroom library and created a collection set titled "GPS Tagging". Within this I have set up 2 smart collections. One has a single rule - "GPS Data is coordinates", and the other has the same rule and an additional one - where the colour is blue (I will use the blue label to tag anything that I think suitable for location reference purposes in future). This second smart collection will be my shortlist for Evernote notes. The process in HoudahGeo is then the same as for iPhoto as the application can see all my Lightroom libraries and their associated collections. From there I can go in and add sunrise / sunset times and dates for ideal shooting conditions and any additional notes that I may require. One problem I have with the Atlas feature in Evernote is that there is no way to apply a filter or simply view one notebook on it's own. As I use Evernote for so many different purposes, I've had to apply my own filter by setting the location data for anything that isn't location scouting information as my home address. It's a hack, but it works. So now that I've invested hours in the initial tagging, sorting and noting, I have hundreds of useful geo-tagged location reference notes available to me on my Mac when I'm in the office or on my phone even when I'm absolutely in the middle of nowhere! Saved location scouting information for the Lake District displayed in Evernote's Atlas feature. It appears that Houdah Geo V3.2.4 doesn't work at all well with Evernote 5.0.5, so I'm having to do all the work on my Macbook Air which still has Evernote 5.0.4 (which works fine with Houdah Geo). Bizarre, but I'm sure there'll be a fix soon enough. 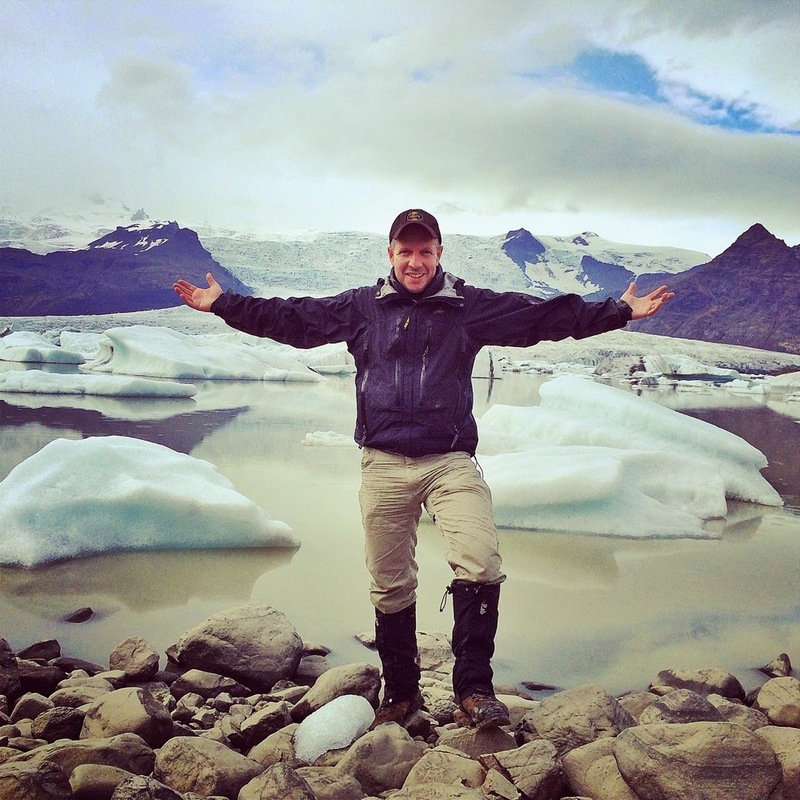 So what do you do with all your location scouting information? How do you save it all? Feel free to share in the comments below.